We will be using the standard data-driven schema. Though it is not suggested to be used in production, it is more than enough for our Text Tagger test. A few names – you may recognize them 😉 We will use those names for tagging purposes. So let’s stop here and see why we added those. First of all, we added a new field type called tag. We needed that for the text tagger to work. There are two crucial things there – the postingsFormat which needs to be set to FST50 and the solr.ConcatenateGraphFilterFactory at index time analysis. Those two settings are required. Next – we need to keep the names themselves. So we will keep the name in a text_general field that is stored and can be easily retrieved, we will have the name_tag field using our newly created tag field type and finally we have a copy field that we will use to copy the value from the name field to the name_tag field, so that we don’t have to send the data twice. the implementation of a strong, well-financed national government. Of course, you can control tagger. As you already seen in the above request that we’ve used fl parameter in the request and the required field property when adding new request handler. However, this is not everything. We can add filter queries, specify the maximum number of rows, choose an algorithm for overlapping tags and so on. 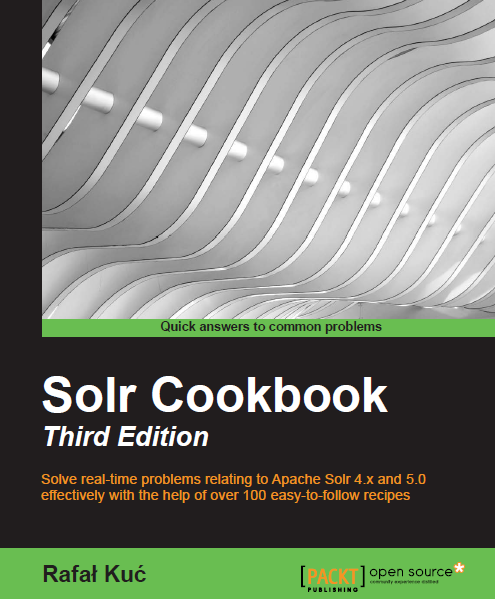 You can find the full list of options in the Solr documentation at https://lucene.apache.org/solr/guide/7_4/the-tagger-handler.html. As usual, there are a few things when it comes to best practices for handling the tagger collection and its layout as well as tagging of the documents. So the first problem is that in Solr 7.4.0 Text Tagger doesn’t support batching, so you are only able to send the documents one by one. This will probably change in the future, but for now, you can just combine multiple documents in a single request and add a dummy concatenations character between them. In addition to that, you should consider force merge. As you know, the fewer segments you have in your Lucene index – so your shard, the faster the queries will be. This is also true for tagging – try to keep the number of segments to the minimum to improve throughput and latency of your tagging queries. One last thing that I wanted to mention is that when we’ve been writing this text, so as of Solr 7.4.0 the text tagger was not supporting sharded index. Maybe this will change in the future, but for now, if you want to use text tagger functionality in Solr, you have to be aware of that limitation.